The 9th Vibrant Gujarat Global Summit 2019 was held at Mahatma Mandir Convention and Exhibition Centre in the city of Gandhinagar, Gujarat. The summit was attended by the President of the Republic of Uzbekistan Shavkat Mirziyoyev, as well as heads of states and governments of such countries as Australia, Canada, France, Japan, Norway, the Netherlands, Poland, the Republic of Korea, Denmark, the Czech Republic, Malta, Thailand, the United Arab Emirates, heads of international organizations and transnational corporations, experts. The President of the Republic of Uzbekistan Shavkat Mirziyoyev addressed the major economic forum. He noted that the state of Gujarat from ancient times has a leading place in terms of trade and entrepreneurship, this summit not only continues these traditions, but also shows the spirit of business of modern India. The Head of the state emphasized that strengthening long-term strategic partnership with India is one of the priority areas of Uzbekistan’s foreign policy and forwarded a number of proposals and initiatives for development of bilateral cooperation. “Everyone is well aware that in the III-II centuries BC, the Indian land was connected with Central Asia by the Great Indian Way. Establishment of reliable trade and transport communications between the markets of Central and South Asia is relevant today more than ever. We are discussing the Trans-Afghan railway project. In the future, this corridor will provide access to South Asia, including to India through Chabahar Port”, said Shavkat Mirziyoyev. The Head of the state proposed to implement joint projects in information technologies, software, agriculture, renewable energy and training specialists for these areas. 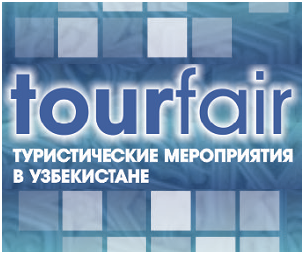 The first steps have already been taken in this direction, a joint technopark will be established in Tashkent. It was emphasized that the most favorable conditions will be created to attract investors to Uzbekistan. Uzbekistan is primarily interested in implementation of promising projects in such areas as energy, pharmaceuticals, textile, leather and footwear, chemical industry, tourism. “Based on huge economic potential of Gujarat and partnership with Andijan region, I propose to hold a business forum of the regions of Uzbekistan and India in the homeland of Babur and ancestors of the great Akbarshah in Andijan”, said Shavkat Mirziyoyev. The Head of the state proposed holding the Year of Uzbek Culture in India and the Year of Indian Culture in Uzbekistan in 2020, and this year organizing Uzbekistan – India youth forum in Uzbekistan. At the end of the speech, the President invited everyone to the exhibition of Uzbekistan organized within the framework of the summit, which introduces the industrial, investment and tourism potential, rich in history and culture of Uzbekistan. Speakers at the Vibrant Gujarat Global Summit expressed their views and opinions on mutual exchange of experience and technologies between partner countries, ways to attract new partners and investments.